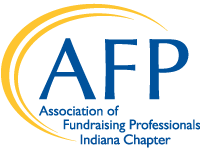 The AFP-IC Mentor Program matches new fundraising professionals with master practitioners (10+ years of experience and/or CFRE certification) for a one year peer-to-peer program. Mentors can provide guidance, encouragement, and support. Membership in AFP is required for both mentors and mentees. Contact Genevieve Gaines for more information at ggaines@inhp.org. If you are interested in becoming a mentor or mentee, please send Genevieve the completed expectations and application documents to get matched.